'Tzav 1' reports that it is becoming increasingly harder for religious IDF soldiers to uphold the dictates of Jewish law while on base. In recent months, the organization “Tzav 1,” which works to ensure that religious IDF soldiers are able to maintain a religious lifestyle while in the Army, has noted a growing number of complaints from soldiers regarding serious problems in the “kashrut” [kosher status] of kitchens on Army bases. All IDF kitchens are officially supposed to be managed according to the dictates of kosher dietary laws. According to the organization, serious breaches of kosher dietary laws have been reported which are not being addressed. Some of the complaints come from small army outposts at the far reaches of Israel. Officials within the organization assess that the growing number of complaints is related to the Army’s decision to reduce the number of “kashrut inspectors,” who verify that kitchens are being managed according to the dictates of Jewish law, as well as to new procedures which make it harder to keep kosher laws. 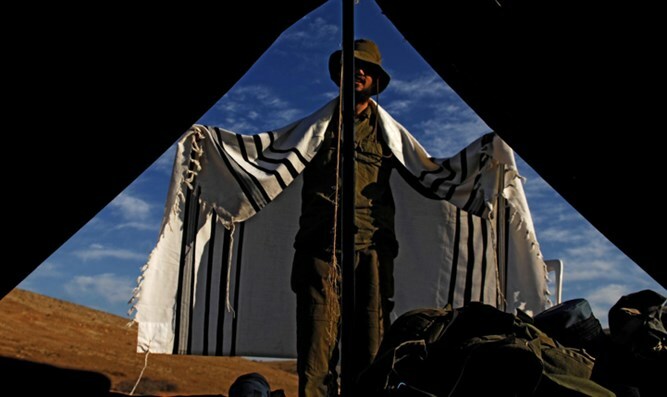 After the reports, the organization sent some 50 thousand Whatsapp messages to soldiers and their parents, in which it encouraged soldiers to turn to the organization in the advent of any dilemma related to kashrut on base. The organization plans to compile a more systematic report, in which it will outline possible solutions to current kashrut dilemmas, which it intends to pass to officials in the military rabbinate.